Tomb robbers may have stolen objects from King Tut’s burial chambers. When expert Egyptian archeologist Howard Carter finally found the door to the tomb after 15 years of digging, he noticed the seal on the door had been broken and then replaced not long after the boy king’s death. Fortunately something had scared away the thieves before too much was taken. What was it? Other mysteries surround this famous king and his resting place. 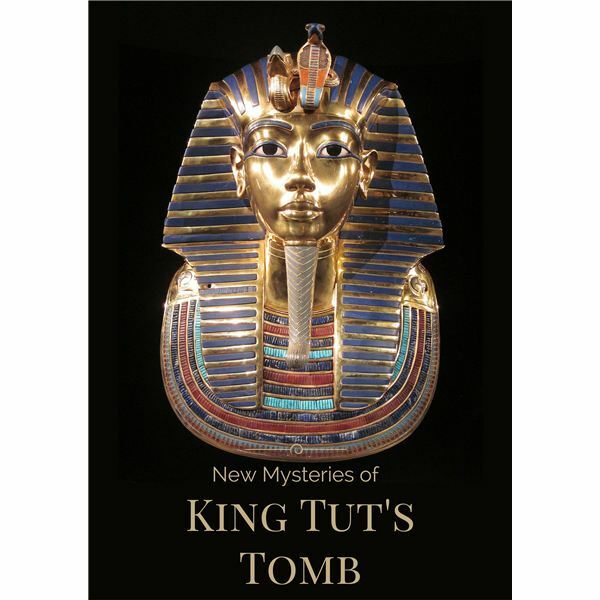 The cause of King’s Tut’s death has changed many times despite modern science, many people believe that opening the tomb unleashed an ancient curse, and recent examinations have experts thinking there may hidden chambers yet to be discovered. It wasn’t until 2008 that an analysis of DNA from the mummies of Tutankhamun and Pharaoh Akhenaten (formerly Amenhotep IV) confirmed they were father and son. Along with the question of his identity, researchers have speculated on what killed the boy king. Many believe he suffered a broken leg in a fall from a chariot and died from an infection. Others think he was a warrior and became wounded in a battle. Carsten Pusch, one of the scientists on the DNA project, believe that he was a sickly boy who had a bit of a club foot, needed a cane to walk and could not have participated in these events. In 2010, DNA results showed that Tut had a malarial infection and a bone disorder as a result of familial inbreeding. According to Discovery News, however, German researchers later found fault with these conclusions and suggested that abnormalities in Tut’s foot were indicative of sickle-cell disease. A murder theory has always been in the wind after an examination of the remains; it appeared that a hole and several fragments in the skull were the result of an attack. Others also believed that Carter’s retrieval team had damaged the mummy during removal from the sarcophagus. In 2005, researchers conducted CT scans and ruled out the murder theory, saying that a bone fragment found in King Tut’s skull was from the mummification process rather than a blow to the head. Later evidence from Hutan Ashrafian, a surgeon at Imperial College London, claims that Tut suffered from a hereditary form of epilepsy. And finally, archaeologist Chris Naunton, director of the Egypt Exploration Society, and Egyptologist Robert Connolly of Liverpool University had the pharaoh’s remains examined under an electron microscope. They concluded that recent chemical tests confirmed that after King Tut was sealed in his tomb in 1323 B.C., his mummified body caught fire and burned. They surmise that embalming oils had combined with oxygen and linen and caused a chemical reaction which “cooked" the king’s body at temperatures of more than 200 degrees centigrade. Archeologists had almost given up hope. In November 1922, after years of digging in the Valley of the Kings, Howard Carter and his financial backer, Fifth Earl of Carnarvon George Edward Herbert broke through the sealed entryway to a sunken tomb. There they discovered the treasures of Pharaoh Tutankhamun. There were chariots, thrones, chairs, jewels, statutes, trinkets and art, most covered in gold. They were a bit apprehensive however, because a notice written in hieroglyphics warned of vengeance on intruders. In addition, a cobra, one of the symbols of Egyptian royalty, had recently devoured a canary belonging to Carter. News of this spread quickly and the natives said: “Alas, that was the King’s cobra, revenging itself upon the bird for having betrayed the place of the tomb—and now something terrible will happen." Maria Corelli, an American writer of horror tales, sent a letter to the New York Times in 1923 saying an ancient Arabic passage warned that persons entering a pharaoh’s tomb would be struck dead. On April 5 of that year, Lord Carnarvon died in Egypt and his dog, Susie, dropped dead in England after howling loudly. Simultaneously, all of the lights in Cairo, Egypt, went out. Was that the curse playing out its worst? Out of the 40 people present at the opening of the inner tomb and sarcophagus, only 6 had died, with an average age of 58. But three more were dead within four years. How could that be? To begin, Lord Carnarvon was a sick and frail man. He had been bitten by a mosquito early in 1923, opened it up while shaving, and developed an infection; with his immune system compromised by ill health, he grew weaker and died. Scientific proof of another theory besides the curse didn’t come until 1962, when a Cairo University biologist proposed that museum workers had contracted respiratory illness from artifacts. He confirmed the presence of microbial growth—Aspergillus niger—a fungus with black mold spores that can cause fatal lung disease. They surmised that the tomb had been hastily painted and sealed up while damp causing mold, fungus and dangerous spores. In July 2015, archaeologists confirmed evidence that might suggest the existence of two undiscovered rooms in Tutankhamun’s famous tomb. Nicholas Reeves published a paper detailing how two doorways were plastered and painted over. He claims that Howard Carter did not have the technology to see beneath the tomb’s painted walls, but that there are “oddly positioned rock-cut niches" that remain. Reeves says, “After three and a half thousand years!…[Carter] had brought his research to a close—wholly unaware that a more significant find by far may have been lying but inches from his grasp." The next step, Reeves hopes, is to conduct a further examination with radar equipment and thermal imaging, both of which could reveal more clues as to what lies behind the possible doorways. He anticipates that this may be done in late November 2015, depending on Egyptian authorities, who thus far have been highly supportive of Reeves’s work. Lace, William W. King Tut’s Curse. San Diego: Reference Point Press, 2013. Book. King Tut: The Face of the Tutankhamun. BBC America, Chronicle, 1982. DVD. Nardo, Don. King Tut’s Tomb. Farmington Hills, MI: Thomson Gale, Kidhaven Press, 2005. Book.